Evergreen, height to 15cm. AGM. A beautiful, mat forming fern for neutral to acidic soil. Most of the literature says to grow this in partial or full shade, I have always found it grows better with plenty of sun and have great success with this in moist soils in sun. Rule of thumb would be the drier the soil, the more shade. Can be slow to establish but spreads quite rapidly once it has done so. Foliage is a lovely fresh to dark green with pink to bronze new growth. 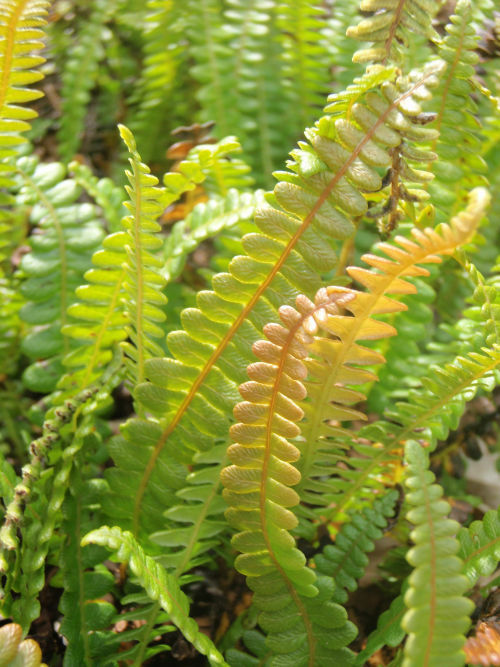 A cosmopolitan little fern found throughout the southern hemisphere.